JM Jazz World Orchestra (JMJWO) is an international big band that yearly gathers young jazz musicians from the entire world. The project was initiated in 2012, and has ever since moved between different countries all over Europe. The goal is for the participants to build a collective musical experience through rehearsing and performing an exciting repertoire under artistic leadership by renowned musicians. Partaking in the orchestra also gives the participants a unique possibility to make musical connections outside of their home countries. 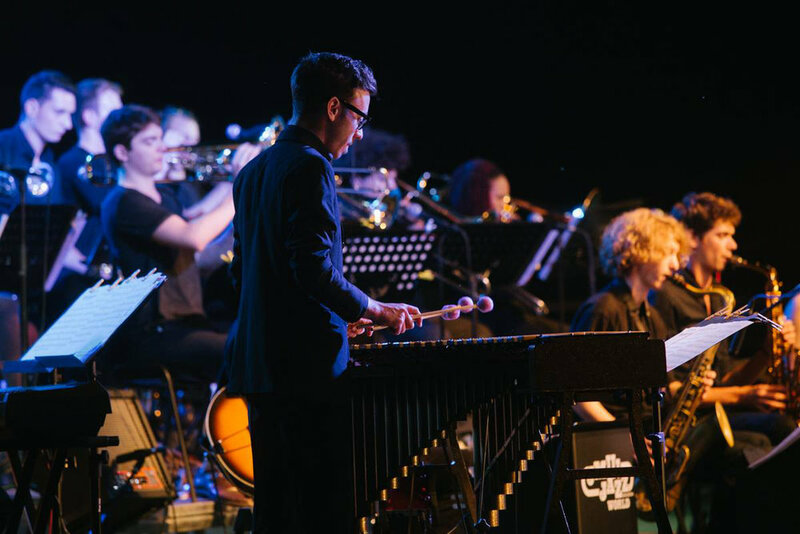 In 2014, JMJWO was lead by the Norwegian musician and composer Erlend Skomsvoll, and the big band was the headliner of one of Norway's most important jazz festivals, Kongsberg Jazzfestival on their stage for young performers. Since 2014, JMJWO has been organized both in Croatia and Germany. For more information about this global big band, visit the webpages of JM Jazz World Orchestra, where they also post information about when applications are due, for the ones who would like to participate in the big band.